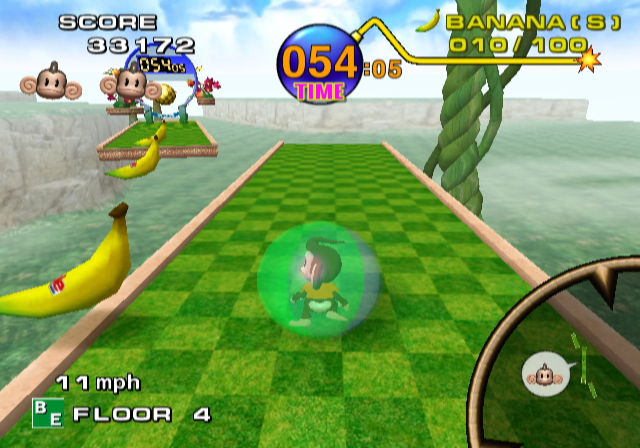 Super Monkey Ball is a platformer that first released as an arcade cabinet in Japan in 2001 then it released for the Gamecube later that year. The gameplay consists of moving the character by tilting the map and reaching the goal at the end of the level without falling or having the time run out. Plus you gotta collect a certain amount of bananas! I used to play this with my little brother and my cousin a lot and it was my cousin’s game at the time so whenever we visited, we went straight to this game. I always played at Baby. This was one of those multiplayer games where I would race my brother and cousin and we would laugh whenever one of us fell off the map and I remember the battling part too. This game was insanely fun in my childhood. Have you guys played this? ← Details Revealed for Breath of the Wild’s “The Master Trials” First DLC Pack + Photos!